Today’s Apple event in New York City has produced a number of great announcements but the real star of the show is of course the all-new iPad Pro. Tim Cook took the stage to brag at length about iPad being not only the most popular tablet but also the most popular computer on the planet. He used that to make the case for an all-new iPad, and boy is it neat. The most obvious change to the iPad Pro this time around is the absence of the home button. That’s something that leaks had hinted at heavily prior to the official announcement, and it’s panned out just as everyone expected. The new edge-to-edge display carries Apple’s “Liquid Retina” branding. The new iPad Pro has an 11-inch display, but it sits within the same footprint as the existing iPad Pro. There’s also a 12.9-inch version which has the same screen size as the previous 12.9, but the device itself is much smaller due to the shrunken bezels. It’s 25% smaller overall. As expected, the new iPad Pro comes with Face ID, and it works essentially the same as it does on the iPhone. The new tablet has Apple’s TrueDepth camera built in, facilitating all the neat features that iPhone users have been enjoying for just over a year now. With the absence of the home button, gesture controls work just as they do on the iPhone. Swiping down from the edges of the screen reveals various menu controls, which iPhone users will be familiar with. Buried inside is Apple’s A12X Bionic chip. An 8-core CPU and 7-core GPU team up for overall faster performance than any iPad before, with up to 90% speed increases depending on the task. Graphics performance is doubled. Apple compared the tablet’s graphics performance to that of the Xbox One X, which is pretty crazy. Another big change that was rumored ahead of the event was the change from Apple’s Lightning connector to USB-C. Apple made good on those leaks, announcing that it would be adopting the standard port for the new tablets and also enabling charging-out, which allows you to use your iPad Pro like a backup battery to charge your phone. There’s also a new Apple Pencil on offer. The new Pencil charges wirelessly, which is obviously a whole lot more convenient than sticking it into the tablet’s charging port, and it clips magnetically to the side of the tablet. The Pencil has new touch controls that let you switch rapidly between tasks on the tablet, which should be welcome news for anyone who spends a lot of time doing art. Greg Thomas of 2K Games also took the stage to show off a new version of NBA 2K running on the iPad Pro. The game looks a lot like the modern console versions of the game, but the fact that the game is running on a tablet at a steady 60 frames-per-second is admittedly pretty neat. Adobe also made an appearance at the event, showing off “the real Photoshop” running on iPad Pro. Photoshop has been available for iPad and iPad Pro for quite a while already, and it gets better every year with new features being adopted and included in the mobile version, and the same would seem to be true this year as well. On the pricing front, the new iPad Pro 11-inch model will start at $799 with 64GB, while the 12.5-inch model starts at $999 for the same 64GB of storage space. Ordering starts today and they’ll be available on November 7th. Its been a while since Xiaomi launched a tablet and the fans are eagerly waiting for the successor of the Mi Pad 3 which was released back in April 2017. The Mi Pad 4 seems to be in the works as a new report claims that the tablet will be powered by the power-efficient Qualcomm Snapdragon 660 SoC and it will be backed by a 6000mAh battery. The device also added that the smartphone would have a single camera at the back and front, along with an 18:9 display. It will run Android 8.1 Oreo out of the box and that too on top of MIUI 9 itself, meaning the device will be launched before the announcement of the MIUI 10 itself. Folks at xda-developers managed to grab a firmware file of an unknown Xiaomi device with codename ‘clover’. 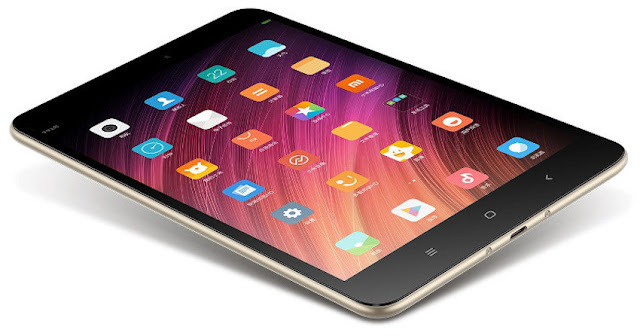 Based on the firmware, it is revealed that the device could be the much-awaited Mi Pad 4. The Mi Pad 4 which will be the successor to the Mi Pad 3 will have an 18:9 display. There isn’t a single 18:9 display tablet available right now and it will be interesting to see how the Mi Pad 4 looks. However, the report did not reveal the screen size of the tablet though. The Mi Pad 4 could have the Snapdragon 660 SoC under the hood as the configuration file shows the clock speed as 2.0GHz. Cameras in the tablet include a 13MP OmniVision OV13855 sensor with f/2.0 aperture at the back. To the front, there will be a 5MP Samsung S5K5E8 sensor which will also carry f/2.0 aperture. It is also said that the device will not come with 4K video recording support, however, Xiaomi will be adding the Portrait mode feature, which could work based on the Artificial Intelligence technology. The device is also said to lack NFC support. Lastly, the Mi Pad 4 will have a 6000mAh battery inside, which is a downgrade from the 6600mAh unit seen on the Mi Pad 3. It might lack the microSD card slot as well, same as the Mi Pad 3. These are the only details available on the Mi Pad 4, and these could be accurate too because they are obtained from the firmware files. Also, xda-developers dug into the details of the Xiaomi Mi 6X firmware as well way ahead of the launch, and 99% of them are proved to be accurate. Apple has started selling the iPad (2018) in India. The new iPad model is available online in the country via Flipkart. Gadgets 360 has learnt that the iPad (2018) is now also available via offline stores in the country. Presently, the iPad (2018) 32GB Wi-Fi and Wi-Fi + Cellular variants are listed as available for purchase on Flipkart, though the other variants can be expected to become available as time passes. Launched in March, the new iPad comes with a starting price of Rs. 28,000 and supports the Apple Pencil that is separately on sale at Rs. 7,600. Flipkart is offering a five percent instant discount (up to Rs. 200) on purchasing the iPad (2018) using Axis Buzz Credit Card. Further, there are no-cost EMI options starting from Rs. 3,112. The new iPad comes in Silver, Gold, and Space Gray colour options. 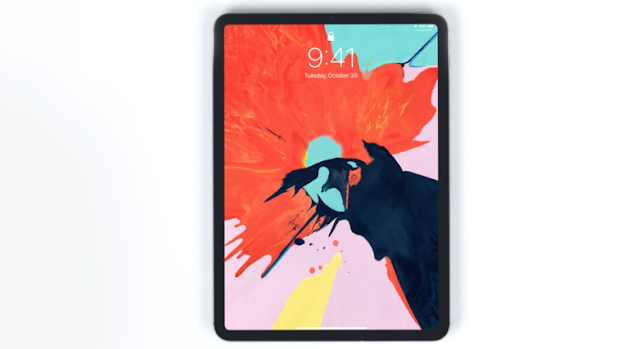 The iPad (2018) has specifications similar to the iPad (2017). 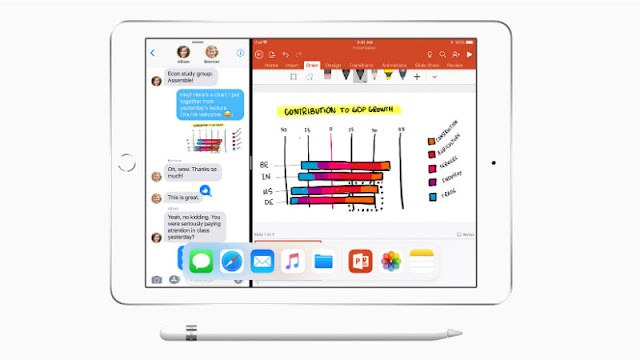 However, its 9.7-inch Retina (2048x1536 pixels) IPS display supports the Apple Pencil stylus. There is also the Apple A10 Fusion SoC, which comes as a significant upgrade over the Apple A9 SoC that was featured on last year's iPad. Apple has provided an 8-megapixel rear camera on the iPad (2018) with an f/2.4 aperture. The iPad also has a 1.2-megapixel FaceTime HD camera with an f/2.2 aperture. On the connectivity front, there is 4G LTE and A-GPS (on the Wi-Fi + Cellular model), as well as Wi-Fi 802.11ac, Bluetooth v4.2, and a Lightning port. The iPad features a Touch ID fingerprint sensor and includes an accelerometer, ambient light sensor, barometer, digital compass, and a three-axis gyroscope. Fact: Tablets are nothing without a rich selection of apps. 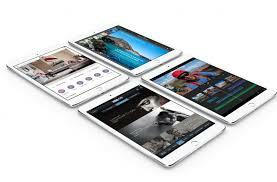 Thankfully, iPads of every size, from the cute iPad mini to the XXL iPad Pro, can access Apple's wonderful App Store to get a huge variety of software to suit any user. According to Apple, more than a million dedicated iPad apps have been released worldwide. The right app can transform the iPad, regardless of its size, into nearly anything you desire. Want to look for a job? Download the LinkedIn app. Want to whip up phat beats during the subway commute? Download GarageBand. Any task you want to do, there's probably an app for that. However, there's a downside: app discovery. How do you navigate all the iPad-optimized apps to find those worth downloading? Easy. Our staff has tested hundreds of iPad apps and highlighted the best of the best. If you're a glutton for punishment, you could dig through the depths of the App Store for user reviews, but that demands a lot of time. Plus, little-known apps of high quality may have only a handful of reviews. Just sit back and let us deliver the gems to you. The Best iPad Apps features native iPad apps that deliver unique and compelling tablet-based experiences, not iPhone, or iPod Touch apps running in 2X mode. For your convenience, we've divided our selections into eight easy-to-navigate categories: Communication, Creativity, Entertainment, Productivity, Reading, Reference, Science, and Utilities. We've also included links to in-depth reviews where available. Rest assured that even those apps that haven't been fully reviewed are included because they've impressed us after some serious hands-on time. The Best iPad Apps doesn't include preinstalled apps or mobile games. The former aren't included because default apps are easy to find—they already live on your iPad's home screen. The latter aren't included because we've broken out the best iPad games into their own dedicated article. Looking for apps for your other devices? We've got you covered there, too, with our 100 Best Android Apps and 100 Best iPhone iPhone Apps stories. In the meanwhile, are you ready to discover some awesome iPad apps? Let's get started. Even though I don’t use my iPad nearly as much as I did a few years back, it’s still comes in handy on long trips or when I need to distract my kids for a little while. The longer the device can last, the better for me. Apple has a specific time duration that each iPad model should last based on regular usage, but actually reaching that value is quite a task. The reason behind the disconnect is the software. Even though Apple creates great hardware, their software is sorely lacking. iOS, in my opinion, has been getting buggier and slower in each new version. It’s amazing to me that my 64 GB iPhone is constantly running out of space even though I’m using iCloud for storing everything. 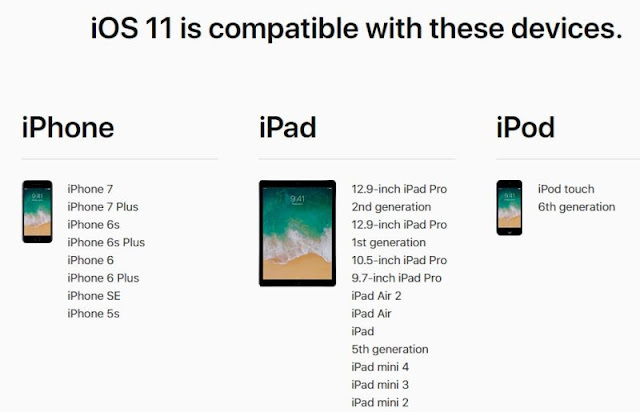 In addition, there are a whole bunch of iPad models out there right now all with different versions of iOS installed, which is problematic. My iPad Air 2 can be updated to iOS 10, but my iPad 2 can only be updated to iOS 9 and will probably be stuck there forever. In this post, I’ll list out as many ways I know possible to improve the battery life of your iPad by adjusting settings in iOS. I’ll try to make a note if the feature is not available in an older version of iOS. Obviously, while you are using your iPad, the screen itself will be the biggest drain on the battery. There is no reason to keep it at full brightness all the time. I have seen a lot of people do this and I’m not sure why! Firstly, it just hurts my eyes to have the screen so bright in a dimly lit area. By default, the screen should adjust automatically, but I have found that a lot of times it’s brighter than I need. Just swipe up from the bottom of the screen and you’ll see the brightness slider at the top right. Unless you are using the Bluetooth connection on your iPad, you should leave it turned off to save battery life. In addition, if you have a cellular iPad, make sure to keep it disabled unless you are using cellular exclusively. Even if you are connected to WiFi, it’s still a good idea to turn off the cellular connection because the iPad will constantly try to find the best cellular connection in the background, which will take a toll on the battery. Just about every app you install onto your iPad will have an option for refreshing their content in the background. This can be pretty useful for some apps that you use often, but otherwise, it’s just a battery drain. I normally keep it enabled for a few apps where I want up-to-date info when I open the app, but disable it for the rest. The more apps you can turn background refresh off for, the longer your battery will last before you have to charge it again. Personally, I’ve tried disabling it completely and haven’t really seen any downside whatsoever. I normally make it a point to turn off the screen on my iPad when I am done using it, but the same isn’t true for my kids. I’ve seen the iPad laying around somewhere with the screen on and no one around. The lowest setting as of now is two minutes, which still seems long to me. The iPad remains on if you are using it actively like while watching a video, regardless of the auto lock time. However, if you do a lot of reading on your iPad, the lower auto-lock setting will probably annoy you because it will dim and then lock the iPad right in the middle of an article. Basically, try to keep it as low as you can without it being inconvenient. As with background app refresh, there are a lot of apps that use your location even when the app is not running. You can find the location settings for each app under Privacy – Location Services. Here you can choose the appropriate setting for each app individually. I suggest doing this because some apps really can’t work unless location services are enabled. However, other apps don’t really need to know your location ever. Try to set as many as you can to Never or While Using. Always is bad because the app will constantly lookup your location in the background. Some apps are annoying and only give you the option of Never and Always. In these cases, it might be worth trying to find a replacement app that has the third option as well. My favorite power-saving tip is to use the Do Not Disturb feature. Since my iPad is a secondary device, I don’t really care if FaceTime calls or notifications are hidden until I turn on the iPad manually. I just set it to Manual and then leave it in Do Not Disturb mode all the time, day or night. This allows my iPad to last in Standby mode for weeks on end. Since all the notifications are hidden, the screen doesn’t keep lighting up for each notification, thereby saving a lot of the battery. If you have a lot of email accounts setup on your iPad, the constant pushing of email to your iPad will cause your battery to drain much faster. If you already have email setup on your phone or a primary device and the iPad is just a secondary device, I suggest turning off Push for each account and fetching the mail manually at longer intervals. Normally, I set fetch to hourly as there is no real urgency to load my mail on the iPad. If you really want to save battery, set it to manually. This way, it’ll only check for mail when you open the mail app. Lastly, you can go to Battery under Settings and see which apps are eating up the most battery over a 24 hour or seven-day period. If you notice anything unusual here, you should check the settings for the app or remove it entirely. Using all of these tricks, my iPad normally only needs to be charged once or twice a month unless I use it heavily on a day to watch a movie or videos. It’s also a good idea to keep your iPad up-to-date, even though this doesn’t necessarily mean you’ll get better battery life. If you have any other tips, post them in the comments. Enjoy! 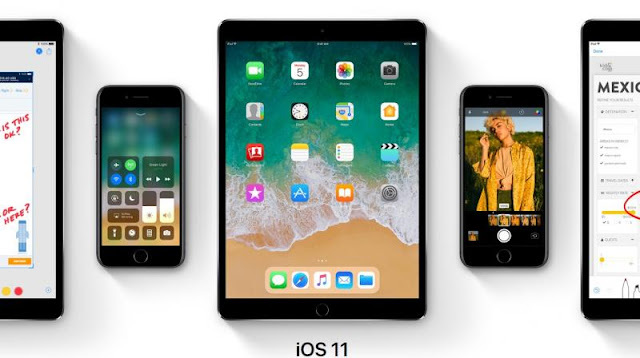 This article will help you install Apple’s iOS 11 beta on your iPhone or iPad for free, and you won’t have to pay for a $99 (Rs 7,000) developer account. If you are interested in testing out the beta version of the new operating system that will finally be launched to public on September here’s your chance. However, you should note that the beta version of iOS 11 is not completely stable, and you could witness crashes, freezes and an unstable phone or tablet. The final version should be ironed out of every bug or issues, later in September. Apple launched the developer version of iOS in June and many are presently testing the beta version of the new operating system on their phones. However, in order to get the beta version on your phone or tablet before anyone else gets the final version of the iOS 11, you need to have a developer account with Apple. The developer account comes in two forms — one free and one paid. While the free version gives you only a few features to try and test, the paid version opens up a lot more to developers for testing and development. Presently, only the paid developer account allows you to access and install the iOS 11 beta version on your iPhone or iPad. If you are registered as a free developer user, you won’t get access to the same. 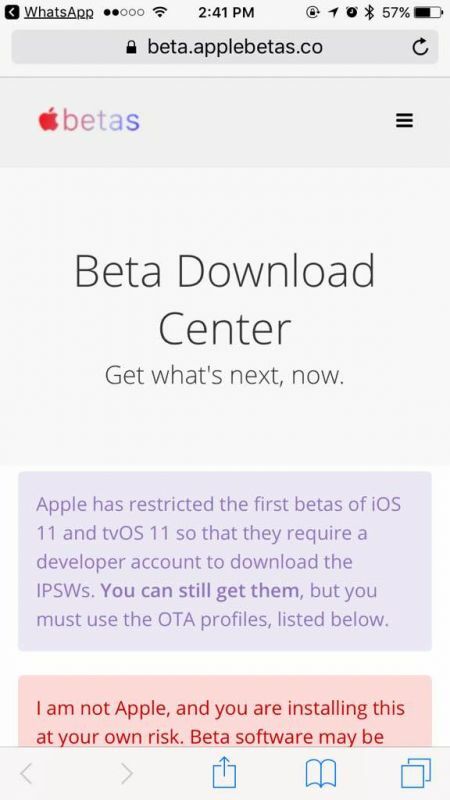 But there is a method that can allow you to download and install iOS 11 beta on your devices without paying for a developer account. However, you should know that the method will not give you updates and patches when released under beta version, since you are not registered as a paid developer user. So if you are willing to stick with present issues and bugs and still want to try out the beta version, read on ahead on how to download the developer version of iOS 11. In case Apple applies additional patches to the beta version, you would have to download the entire beta OS all over again and install it on your devices. Just as a mention: The method in this article applies to beta downloads (developer versions) of iOS for iPhone and iPad, MacOS for your Mac and Macbook, Watch OS for Watch and tvOS for Apple TV. 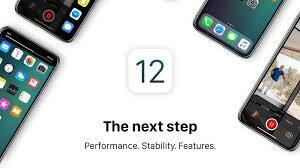 To begin with, we would advise you to install the developer version of iOS 11 on a standby or second Apple device and refrain using it on your primary handset. This is because the beta operating system could have bugs and issues and could crash or freeze your handset or tablet. You would have to re-flash your smartphone or tablet again with the official version of iOS 10.x if your device crashes. So be prepared to accept the new operating system in as-is condition. If you already have a developer account, you can skip this step. For those who don’t have it as yet, you can click on this link and register yourself with one. You have the option on the page to pay or opt for a free account only. Once you have registered for a developer account, you need to click on this link using the Safari browser on your iPhone or iPad. 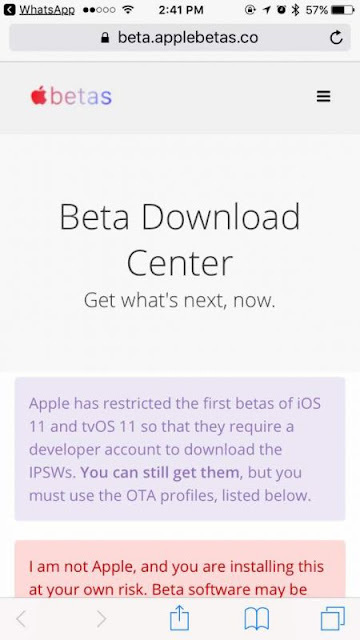 Do note: Apple allows you to download the beta OS even without a developer account. However, a third-party website is making the same available for those who would like to try out the beta OS. But they are not taking the responsibility for any issues with the device thereafter. Some users have reported battery drain, crashes and overheating on their iPhones after installing beta. Make sure you take a complete backup of your device before doing anything ahead. So try this at your own risk. Once you click on the link, you will be taken to the website where you need to choose your device. Click on ‘Download’ in the iOS Downloads section. A popup will ask you as to which device are you using. 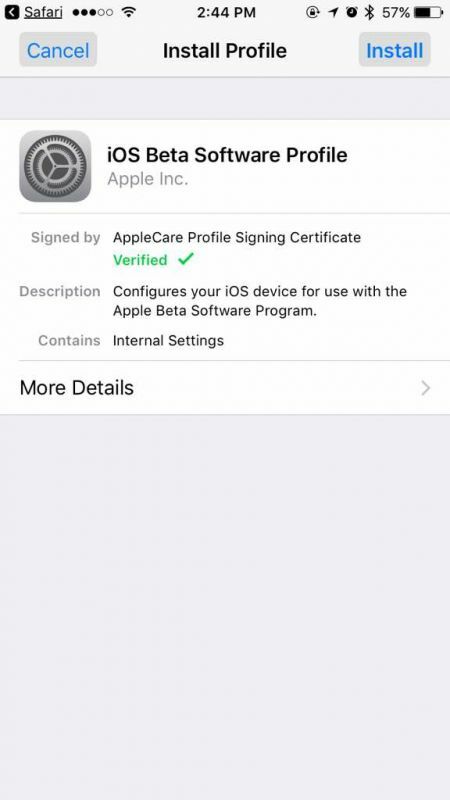 Choose your device and you will then head to a new webpage, which states ‘iOS Beta Software Profile’, where you will see that the AppleCare Profile Signing Certificate is verified. Click on the Install button on the top right corner of your screen. You will then be asked to enter your device’s passcode for authentication — a security feature by Apple to make any changes to the operating system. After entering the passcode, you will land on the next webpage, which has the message (disclaimer – Terms and Conditions) from Apple. Read it and if you agree to continue, click on the ‘Install’ button on the top right corner of the page and hit the Install button that pops up as a confirmation. After doing so, your device will need to be restarted. Hit the restart button on a message that pops up further and your device will reboot. After rebooting you can head to the Settings and under General – Software Update you will find your beta OS waiting to be downloaded. 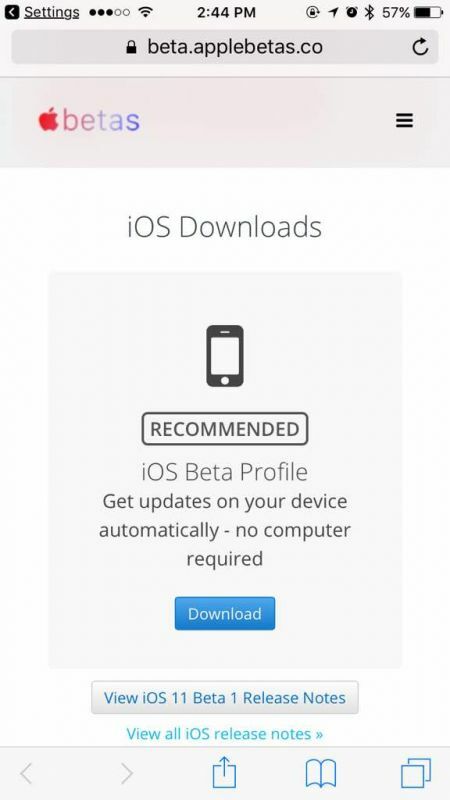 Hit the download button and wait for the entire beta OS to be downloaded to your system. Make sure you have a fast and fruitful internet bandwidth so that your new OS, which is more than 1GB, can be downloaded without any hiccups. 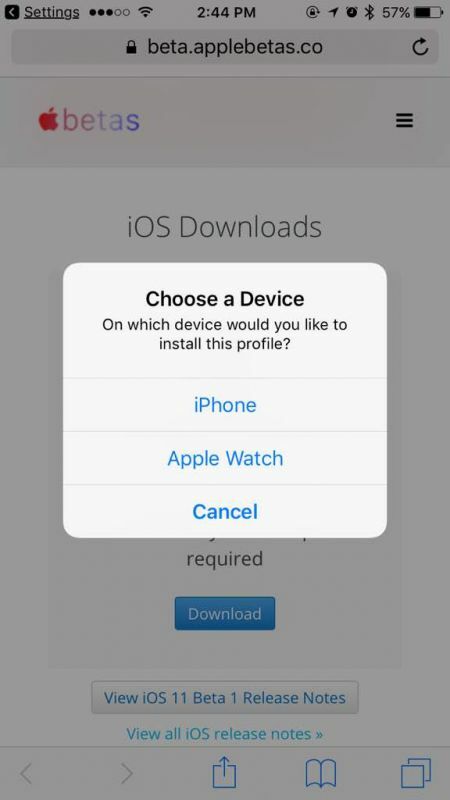 Once done, follow the instructions on your screen to install iOS to your device. You will be greeted to your new operating system after a reboot, post installation. The device will now have new features that are introduced, and to be introduced in the new OS. Enjoy your new living room for your smartphone. In case you managed to goof up, you may have to end up at your Apple service centre to get your device serviced. You may be charged – so be prepared to cough up a good amount. Even if your device is under warranty, you may have to pay, as this is not covered under warranty. Others who don’t want to head to the service centre and have a little know-how on using iTunes to recover the device, click on this link. Disclaimer: Deccan Chronicle, or the websites referred in the links within this article, will not be responsible if your device is dead, bricked or damaged in the process. Make sure backup your entire data before doing anything. Try the above procedures at your own risk. Try the procedure on an older compatible device if you are eager to try out iOS 11 beta.